This election has been dominated by talk of pacts, inter-party deals and paper candidates. But for working class people – employed, unemployed, young people and pensioners – there are very real, pressing and systemic problems to be faced. The major parties have sought to slug out yet another sectarian headcount, this time based on Brexit and the Border. The reality is that it is about neither. What really matters to working people in Northern Ireland? 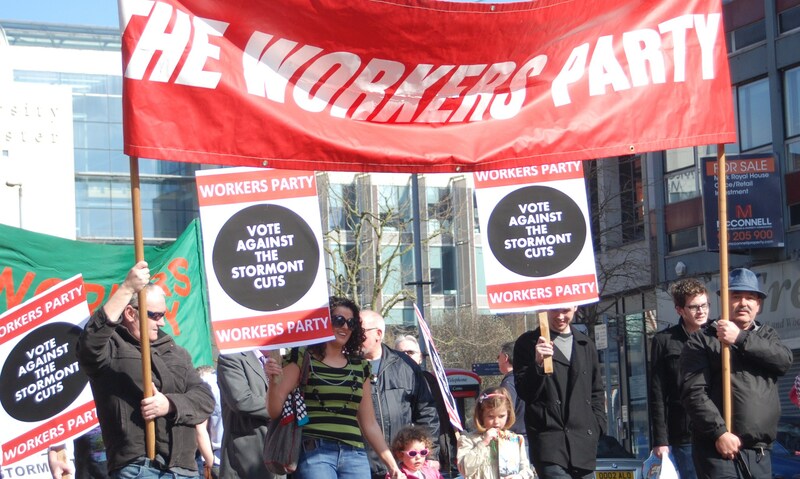 The Workers Party Westminster Election manifesto goes beyond the rhetoric, the political posturing and the tribalism of other parties to address the social and economic realities of life for ordinary people. A better future is possible: one in which working people have real power over their own destinies and where their interests are paramount and supreme. 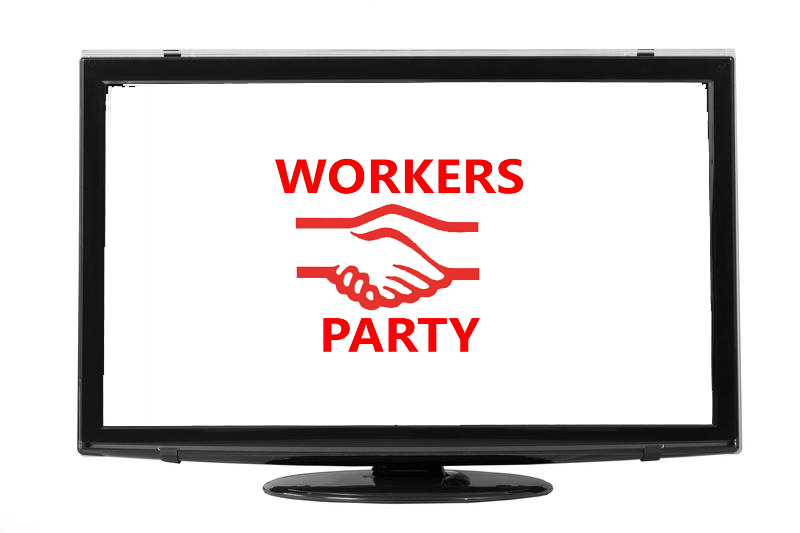 The Workers Party is committed to that alternative – to the construction of a socialist society. ‘This election is unnecessary and will solve nothing unless people use it to pass judgement on all the parties in Stormont’. It goes on to say, ‘The two Executive parties, in particular, have been irresponsible, arrogant and contemptuous. Returning them to power to do the same thing again makes no sense at all’. The manifesto highlights the failures of the last and previous Assemblies and of the DUP / Sinn Fein Coalition in particular, highlighting welfare cuts, attacks on workers’ rights, the privatisation of public services. plans for lower corporation tax and the refusal to implement progressive social legislation. ‘For devolution to work there needs to be a root and branch reform of the Assembly structures’, the Party says. It also points out that many aspects of the Good Friday Agreement have been deliberately abandoned while in every aspect of social, economic, cultural and community life working class people have been subjected to public expenditure cuts, marginalisation and exclusion. The Socialist Alternative presented by the Workers Party addresses economic growth, strategies to tackle poverty, sectarianism and the growing housing crisis. It also sets out policies on health, education and rural development and the case for a womans’ right to choose. However, the Party’s manifesto also points out that problem of inequality and exploitation must be tackled at its root by eradicating the current economic system and constructing a socialist society. 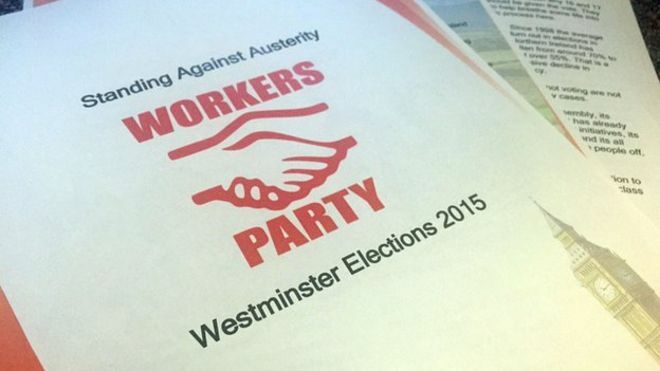 Standing Against Austerity: The Workers Party launches its manifesto at Parliament Buildings, Stormont. The Workers Party has launched its Assembly Election manifesto at Parliament Buildings Stormont. The Party’s four candidates. Conor Campbell (Belfast West) Lily Kerr (Belfast South), Hugh Scullion (Mid Ulster) and Gemma Weir ( Belfast North) were joined by party supporters as they spelt out the Party’s opposition to austerity and presented the socialist alternative in the ‘Standing Against Austerity’ document. The manifesto highlights the Stormont austerity agenda as the main political issue in this campaign and criticises the refusal and the failure of the last Executive to implement outstanding areas of the Good Friday Agreement and table legislation to bring Northern Ireland into the 21st century. The Party is challengimg the new Assembly to introduce 10 key pieces of legislation in its first one hundred days to signal its intent to build a modern vibrant and inclusive Northern Ireland. Included in the 100 day challenge are demands for a Bill of Rights, integrated, secular education, a woman’s right to choose, civil marriage equality and an end to fracking. If you missed he Party’s Election Broadcast – or you just want to see it again! – the following link will take you to the BBC iPlayer. Copy this to friends at home and abroad who may not have had a chance to view it. The Party has launched its Assembly Election manifesto. The manifesto calls for a ‘new politics for Northern Ireland’ to challenge the current stale and sectarian system. It’s time for a principled left alternative at Stormont that is neither catholic nor protestant, nationalist nor unionist. With the Workers Party we can build that new political space. The Workers Party manifesto for the Assembly and Local Governnment elections will be launched next week.